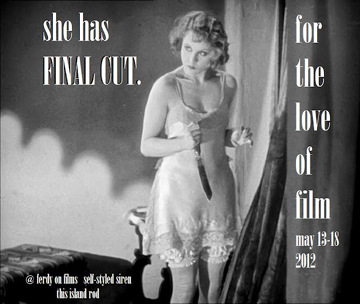 This post takes part in the third annual film-preservation blogathon For the Love of Film, hosted by Ferdy on Films, the Self-Styled Siren, and This Island Rod. This year’s blogathon is devoted to the work of Alfred Hitchcock. Funds raised will help the National Film Preservation Foundation stream an early film on which Hitchcock worked, The White Shadow, on the internet for several months—and record a new score for this silent film. Please click on the photo above to donate to this worthy cause. Films are perishable, and they need our help! 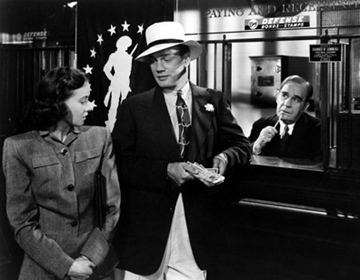 Joseph Cotten, Teresa Wright, and Patricia Collinge in "Shadow of a Doubt"
As a food writer I often find it difficult to write about films, particularly films like those of Hitchcock, in which action and suspense are key. The characters have little time for cooking and eating. So for this essay I turn to Hitchcock’s most domestic motion picture—some might say his ONLY domestic motion picture—Shadow of a Doubt. Released in 1943, Shadow of a Doubt has long been one of my favorite Hitchcock films in large part because it is domestic. The house in which most of the action is set is almost a character in the story. 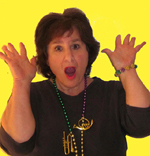 Viewers get to know its hallways, doorways, and rooms. And many plot points are worked out at the dinner table. 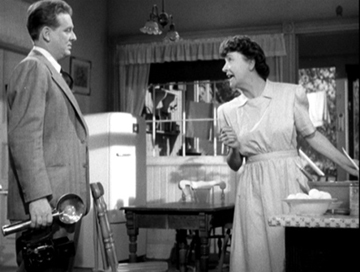 Since Shadow is a Hitchcock film the domesticity it explores is dark. 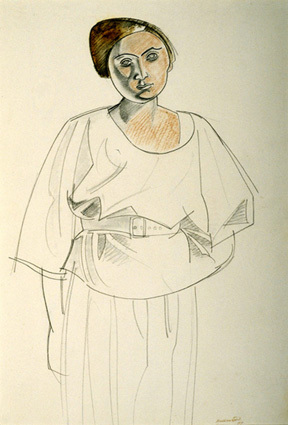 It is domesticity nonetheless, however, and the picture features sympathetic and complex female characters. 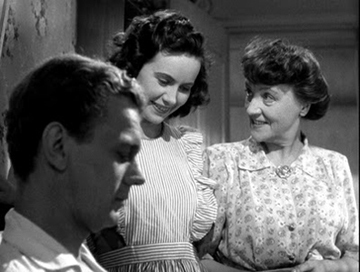 Indeed, the film is primarily experienced through one of those characters, Young Charlie (Teresa Wright). A recent high-school graduate who still lives with her family in an old-fashioned home in Santa Rosa, California, Charlie is restless. She finds family life tedious and is particularly concerned with that life’s effect on her mother Emma, who seems to spend her days going from one dispiriting household task to another. Charlie senses that she and her mother are trapped. “All I’m waiting for now is a miracle,” she tells her kindly but weak father Joe (Henry Travers). The miracle comes almost immediately in the form of a prospective visit from her mother’s brother Charlie (the handsome, velvet-voiced Joseph Cotten), after whom young Charlie was named. The namesake feels a special kinship with her uncle, a far-off glamorous figure who sends wonderful presents but rarely shows his face in Santa Rosa. The family gathers around Uncle Charlie at the dinner table. Charlie believes she has a psychic bond with Uncle Charlie, a bond Hitchcock famously emphasized from the start of the picture by introducing both Charlies in the same position—lying on a bed looking despondent. Charlie is even happier when she sees the effect the news of her uncle’s imminent arrival has on her mother Emma (Patricia Collinge). Emma’s voice lifts and her face lights up as she speaks of her long-ago childhood with Uncle Charlie, the spoiled baby of her family. Uncle Charlie’s arrival is all that Young Charlie and Emma have hoped for. He brings laughter to the house and showers his relatives with gifts. Almost immediately, however, Charlie begins to wonder about her uncle. He has isolated moments of scary violence. He is trying to hide something. And the gorgeous emerald ring he gives her is inscribed with the initials of a dead woman. Young Charlie begins to feel uncomfortable with Uncle Charlie. Papa Joe looks on at right. 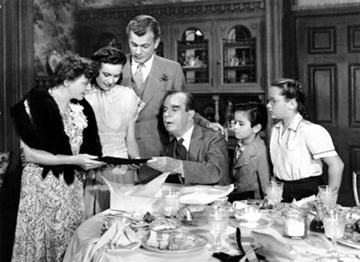 Hitchcock brought in Thornton Wilder to work on the screenplay for Shadow. The film was shot on location in Santa Rosa, an attractive, medium-sized town, and the director believed that the playwright of Our Town could add a certain authenticity to this story of America’s heartland. He did—as did the brilliant cast. Shadow of a Doubt both celebrates and critiques small-town life—and middle-class American life in general. Like Uncle Charlie, the town of Santa Rosa is beautiful yet contains dark corners. Like Uncle Charlie, Young Charlie and her mother Emma love the idea of home but long for something more stimulating and ultimately more dangerous. At the end of the film Young Charlie’s future appears almost as bleak as it does at the beginning. She has survived attempts on her life. 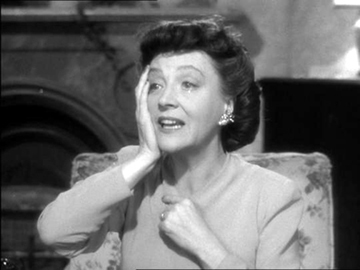 Yet she appears doomed to marry the stolid MacDonald Carey and recreate her mother’s humdrum housewifery. As for Uncle Charlie, he feels forced by fate/fear/insanity to try to kill Young Charlie, whom he really does love. Perhaps the saddest of the three is Emma. Young Charlie’s mother is devastated when she learns near the end of the picture that her brother plans to leave Santa Rosa, although she is fortunately unaware that he is leaving because he will be arrested or killed if he stays. And yet, as Young Charlie learns, Americans in the 1940s, particularly American women, don’t have a lot of other options. The little cow sprinkles are meant to evoke black-and-white film--and to hide my icing errors! Emma and Charlie prepare several meals in Shadow of a Doubt. The food to which the most detail is devoted is a cake Emma demonstrates making for two men who pretend to be conducting a survey about typical American families. They are in reality detectives hard on the trail of Uncle Charlie, whom they suspect of being a serial killer. She informs the pair that this maple cake is a favorite of her brother Charles. 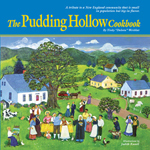 Viewers don’t get to see the entire baking process, but Emma makes it clear that the instructions include creaming butter and sugar and then adding eggs. I hope her cake would have tasted something like this dense, rich pound cake with a maple topping. It’s enough to make almost anyone—maybe even Hitchcock—feel more positive about domesticity. Preheat the oven to 325 degrees. Lightly grease and flour a 10-inch Bundt pan. In a mixer cream the butter. Add the brown sugar, and beat until smooth. Beat in the eggs, one at a time, followed by the vanilla. Beat in the baking powder and salt. On a low speed, blend in the flour until it is incorporated. Transfer the batter to the prepared pan. 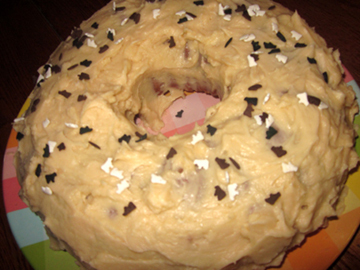 Bake for 45 minutes to an hour, or until a toothpick inserted into the cake comes out clean. Set the pan on a wire rack to cool for 15 minutes. Then turn the cake out onto the rack and let it cool completely before making your icing. Whip the butter for the icing until fluffy; then beat in the maple syrup and sugar. You will need enough sugar to make the icing spreadable but not enough to make it too sweet; start with 1 cup and then add a little at a time as needed. Emma gets ready to bake her cake. 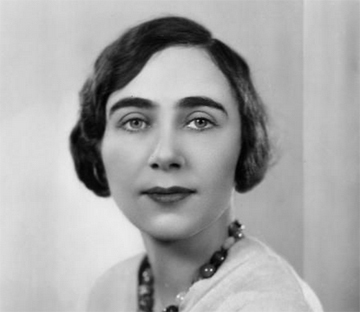 I know I went on and on and on about the fascinating Iris Barry in my last post. 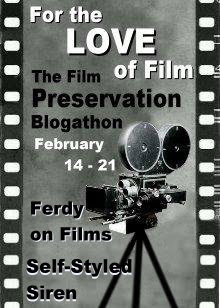 This post will also participate in the For the Love of Film blogathon—but in a less long-winded way. 1. 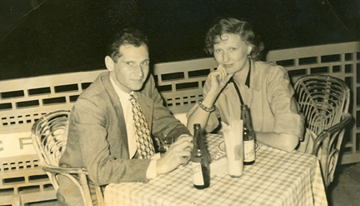 My late honorary godmother, Dagny Johnson, zealously pursued short and long films about Paris for her film festival in the 1960s and 1970s, Paris en Films. 2. My former colleague Jane Klain in the Research Services division of the Paley Center for Media in New York is a bloodhound when it comes to finding old television programs that were once considered lost—particularly when those programs involve her great love, American musical theater. I love watching Jane work and listening to her enthusiasm when she is on the trail of a television program. She is one of Manhattan’s unsung heroines. 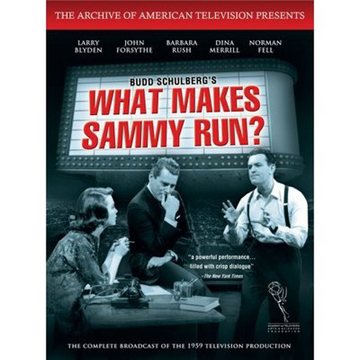 This 1959 production of "What Makes Sammy Run?" was one of Jane's TV finds. 3. 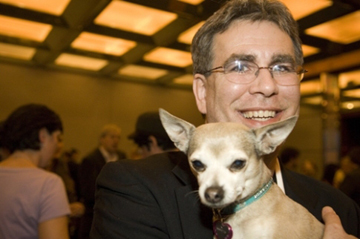 Finally, my graduate-school pal Dan Streible at New York University organizes a biennial Orphan Film Symposium. The next one will take place in April. The symposium finds, celebrates, and helps preserve films that have no commercial homes. (Dan has a much better definition than this on the Orphan site!) In it Dan brings together scholars and enthusiasts who recognize the aesthetic, historical, and cultural value of diverse orphan films. Dan’s orphan metaphor is perfect for preservation. It indicates the ways in which these films have been cast adrift as well as the moral imperative for people to help save and protect them. 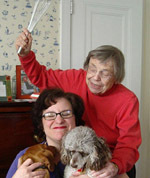 Dagny, Jane, and Dan, I salute you and the other wonderful film and television preservationists in my life (hi, Mike!). In addition to attending the Orphan Film Symposium you can show your support for preservation by donating to the National Film Preservation Foundation. The NFPF is giving away four DVD sets to donors chosen in a random drawing this week. Here’s the link to donate. And of course please do visit some of the other bloggers who have spent at least part of this week writing For the Love of Film. 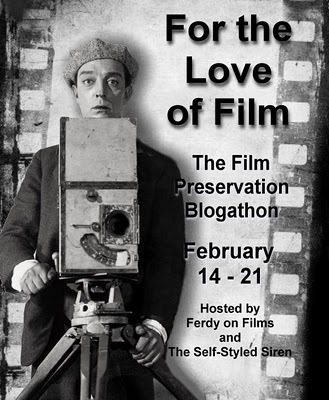 The blogathon is sponsored by Ferdy on Films and the Self-Styled Siren, who hope to raise awareness of, and funds for, the NFPF. I’m not a person who preserves film or television professionally. I’m more likely to save vegetables or fruit. 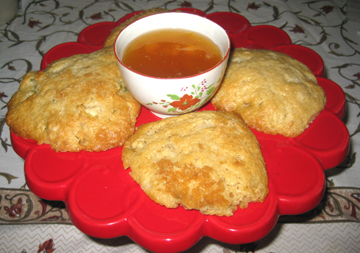 In case you’d like to contribute to food preservation as well as film preservation, here’s a simple peach jam recipe. Spice it up a little if you like with some crystallized ginger—or color and flavor it with a few raspberries. This is the basic formula. I know peaches aren’t in season for most of my readers right now, but if you’d like to cheat a little you may certainly use unsweetened frozen peaches. Be sure to defrost the peaches before cooking and to adjust the recipe proportionately to fit the volume of peaches you have. You can’t really go wrong with fresh jam on the table. 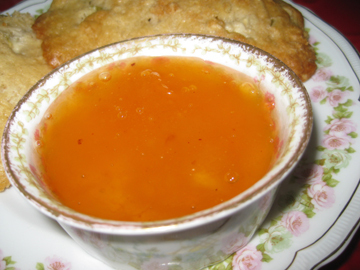 In a 4-quart nonreactive pot combine the peaches, 2 cups of the sugar, and the lemon juice. Let the mixture sit for an hour or so to allow the peaches to juice up. Cook the fruit over low heat until tender. Add the remaining sugar and butter, and cook rapidly until thick, stirring frequently. The jam is ready when it sheets off a cold, stainless-steel spoon. Remove any foam you see (there shouldn’t be too much, thanks to the butter). Stir the jam for 5 minutes before you ladle it into sterilized jars; this keeps the fruit from rising to the top of the jars when cooled. Process in a boiling-water bath for 5 minutes. If you don’t want to be bothered processing the jam, just put it in the sterilized jars and keep it in the refrigerator. 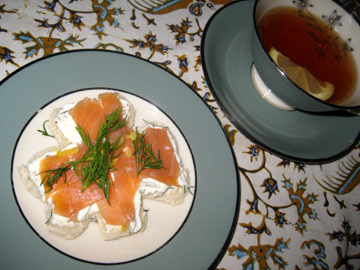 Serve with toast, biscuits, or scones.